2013 has been a fantastic year for us! It’s seen the company grow from a small one man show doing around twenty weddings in 2012 to having bookings for over fifty weddings for 2014 already and it’s looking to be our most successful year so far. Above all, it’s important to me and my staff that we give our customers the perfect wedding – speaking of staff, I have been providing part time work for five workers who really enjoy the work we do for YOU, the customer. Of course there would be no need to employee these new staff if all we did was provide a standard wedding DJ service. As our customer base continues to expand beyond Cardiff and South Wales, so does our list of services. Behind everything we offer is the determination to deliver you with the very best service in the country. This determination is reflected in our reviews page where you can see that EVERY previous customer has rated us 5 out of 5 stars. 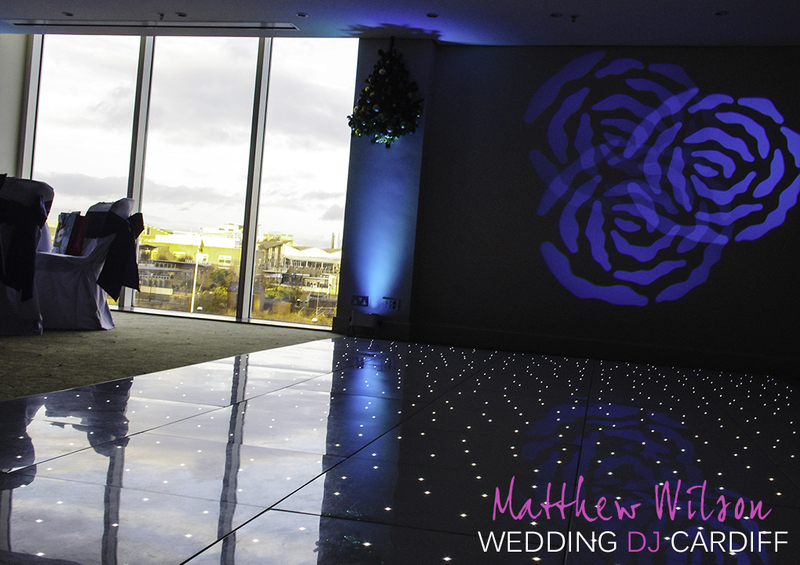 Purchased in May 2013, our white Starlit dance floor has been impressing brides, grooms, their guests and hotel management at every venue we’ve used it at. These lights are known as “moving head” fixtures, the name comes from the fact that the entire fixture rotates and swivels in every direction giving a full 360 degree coverage. The lights are not cheap, just one alone costs more than most DJ’s spend on their entire light show. You’re probably wondering what do they look like if they cost so much? Purchased from Mirrage Wedding Backdrops, our backdrop spans a massive 9m, not the usual 6m. 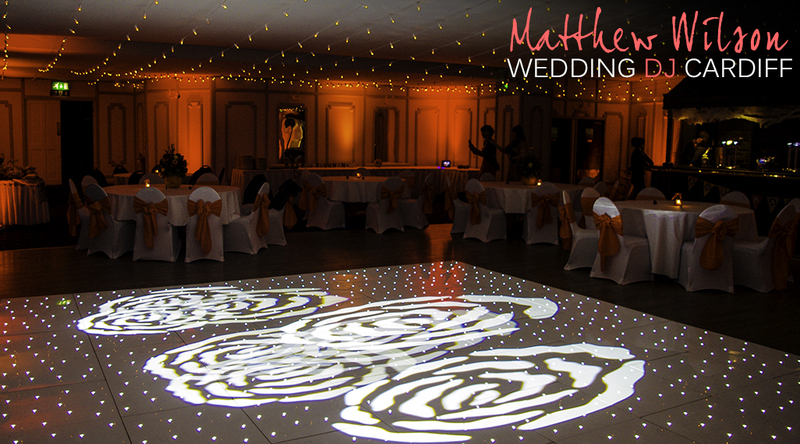 It’s also not the usual LED type either, our backdrop uses the more expensive and reliable fibre optic system. This means you can have the stars twinkling in any colour you wish! Here’s what our amazing backdrop looks like…. We have 30 of these units all working completely independant of any power supply or cables. The lights are cool to the touch and do not run on 240V mains, meaning they are completely safe in the company of children. 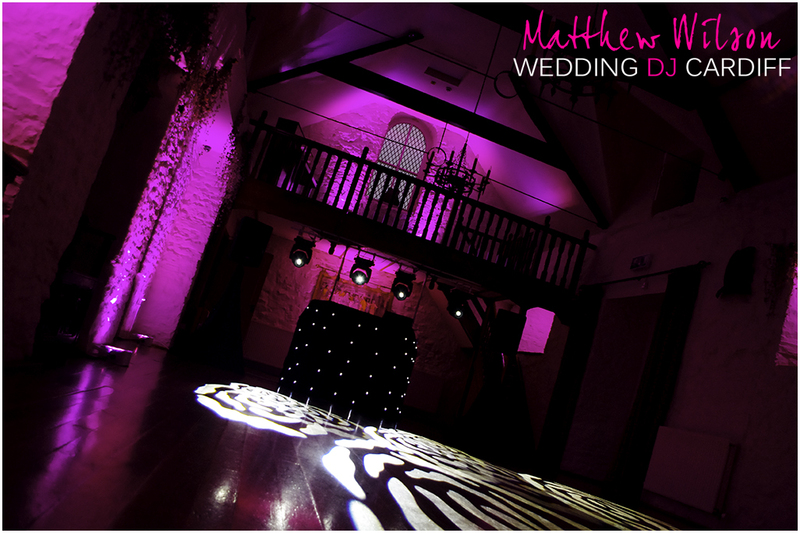 Using these lights, we can wash your venue with any colours you wish! This state of the art piece of equipment is the new benchmark in digital DJ’ing. We had a choice during purchase to go for either this or for the Numark NS7 Mk2, well we went for the brand we know and trust to deliver – Pioneer. 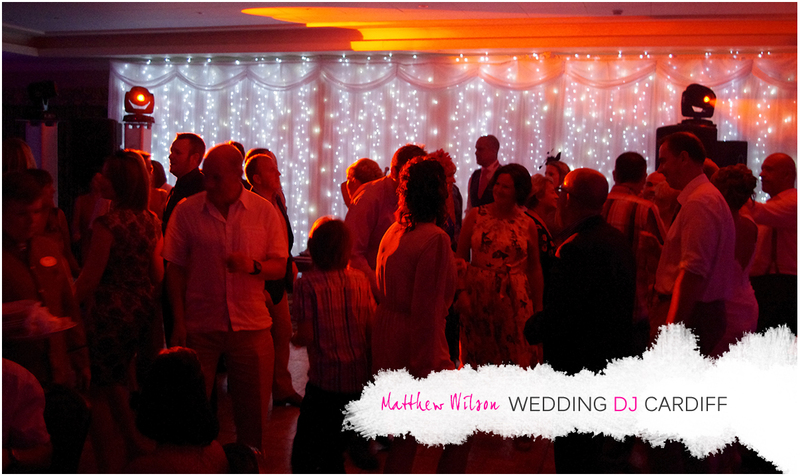 This fantastic piece of equipment gives us amazing control over the playback of our music collection, we use it to it’s full potential to ensure you have fun and excitement at your wedding. Our brand new audio system purchased at the beginning of December 2013 is without any doubt the best sound system you will have ever heard. You’ve probably never heard of the name – I’m a DJ and I had no idea who they were until I heard a demo of their equipment. I was blown away by the unbelievable quality of the sound, but not just that, the speakers are as loud as you would ever need in a wedding environment. I heard a demo just last week of a new line of speakers from another manufacturer and I must say that prior to the demo I was dreading the thought of them sounding as good as my new purchase. After the demo I walked away with a big smile on my face, our new sound system is in a different league to even the toughest competition! Sound quality and quantity isn’t the only benefit of our new audio system, they were also purchased for the sole intention of only ever being used for weddings. As such they are white to match your decoration. We have purchased several 42″ FullHD LED TV’s this year all with built in wireless technology. We’re able to play videos, slideshows and presentations through these TV’s so you can interact with your guests. We’ve purchased plenty of other hardware throughout the year, but if it doesn’t get a special mention, it isn’t good enough to receive one and these pieces of equipment will be found amongst the pages of eBay being bought up by DJ’s who don’t actually care about quality. Thank you for putting your trust in us and we’re thrilled that we were able to exceed your expectations. We look forward to seeing many of you again through weddings of your friends in the future. 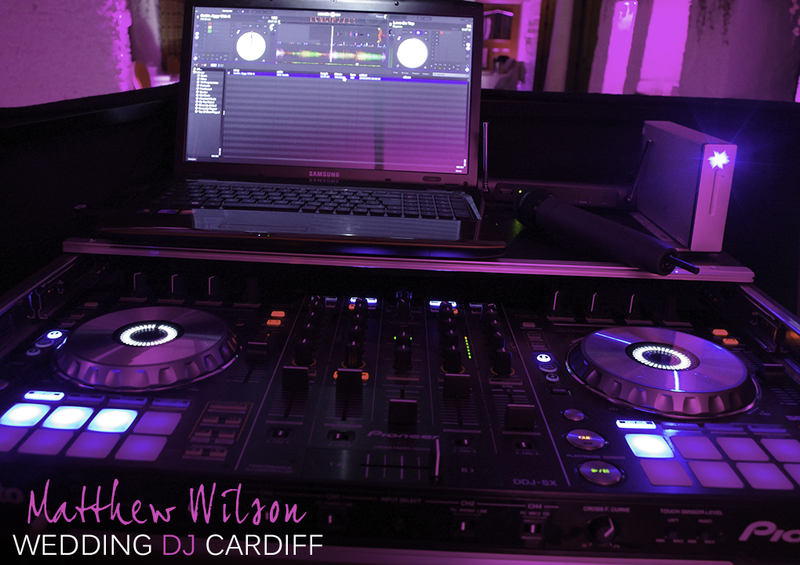 Without you, there would be no Wedding DJ Cardiff and no jobs for our staff. It’s been a pleasure to witness other companies who also share a passion for their work and are dedicated to pleasing their clients. Special seasons greetings go out to Gwillim Florists, Embrace Videography and Eleanor Jane Photography who have always had a positive impact on the weddings I’ve also worked on. Thank you for making our job easier by keeping weddings on time and guests happy! 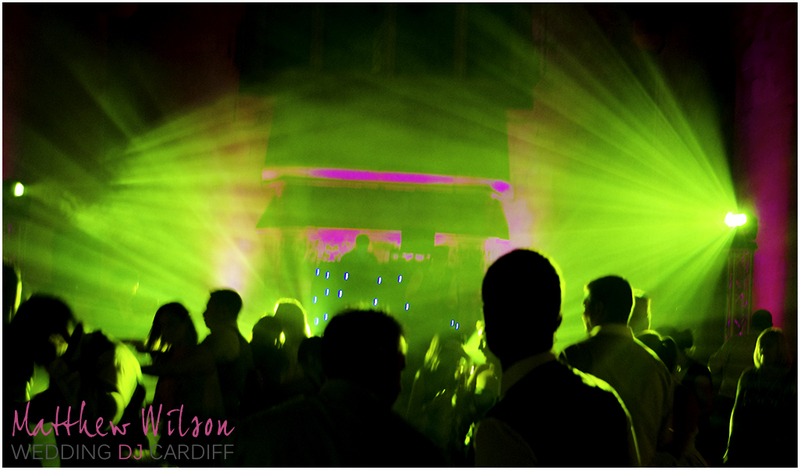 Special thanks go to the staff at my favourite venues: The Vale Hotel, Pencoed House Estate, The Celtic Manor and Miskin Manor who will go the extra mile for their guests. We look forward to seeing you in the new year and showing you our new range of services. These are the people who have helped to make your weddings come to life! Taylor Jones, Tristan Thomas, Shaun Birch, Daniel Davies and Richard Haddock, your help has been very much appreciated throughout the year – if you’re reading this, you’ll be pleased to know that you’ve been paid a Christmas bonus! 2014 is going to be a very busy year so I hope you all have a great Christmas and get plenty of rest. It wouldn’t be fair to go without mentioning my friends at Abercynon RFC – Mark Hayman, Damien Withey, Gareth Morgan, Garreg Elias, Daniel Pugh, Justin Pugh, John Lloyd, Dean Emson and Morgan Adams who’ve been consistently sharing my Facebook photographs and plugging my work! The very final mention goes out to Nicky Batchelor who does none of this.